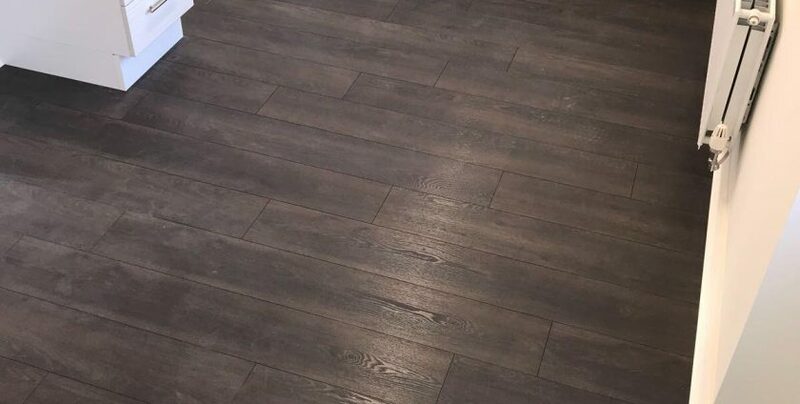 Laminate flooring is extremely popular as it looks like hardwood flooring, yet has the versatility and durability to be used in kitchens and bathrooms – without compromising on style or finish. Laminate flooring is incredibly easy to install, with many flooring manufacturers offering a click-together fit, ideal for those keen on DIY. This makes installation stress-free as you only need underlay material, rather than adhesive or nails, however Karpet Kingdom is proud to also offer an expert fitting service to take care of installation for you. Laminate flooring is one of the easiest floor surfaces to clean and can save you money in the long term. Unlike hardwood or marble, laminate flooring does not fade in the sunlight and is resistant to stains, impacts and scratches – which is ideal for any family household. This is thanks to the durable wear layer that laminate flooring manufacturers use for the top surface of laminate floors. At Karpet Kingdom, we have a fantastic product display, including top name manufacturers, such as Balterio, Kaindl and Krono, enabling you to easily view and compare our range – helping you to find your perfect laminate flooring. Karpet Kingdom offers an optional expert fitting service, to guarantee the perfect finish for your new laminate flooring. Our trusted team of fitters pride themselves on their excellent workmanship; we’re certain you’ll be delighted with your new flooring from Karpet Kingdom. Laminate flooring is simple to install, easy to clean and maintain and is stocked in a variety of styles and colours at Karpet Kingdom. Laminate Flooring can offer a cost effective flooring solution for any home.